Emu Heights: Merrick Property Group, 90/84 Old Bathurst Road, Emu Heights, NSW. August 11, 2019 – 9am to 5.30pm. Goulburn: Yoga Presence, 131 Auburn Street, Goulburn, NSW. May 4, 2019 – 9am to 5.30pm. As a children’s yoga teacher you will definitely grow as an individual, but the upliftment that you get from helping a child to grow is beyond words. Mental and physical refreshment: This 5–8 age group starts to spend more time sitting and using electronic devices, so yoga can provide much needed mental and physical breaks. Body awareness: This is often the age where bad posture habits set in, so yoga helps to develop more body awareness, and kids learn how to use their bodies in a healthy way. Stress management: Yoga gives powerful ways to manage stress for young children through play, breathing, relaxation and light meditation practices. 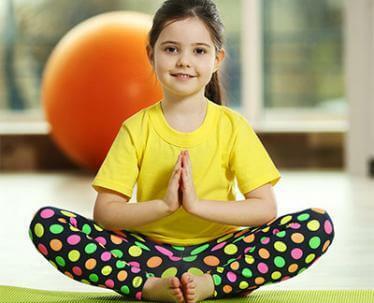 Concentration and focus: Kids can develop much greater focus through listening and following instructions during yoga – and this also helps them with their schoolwork. Students in this course will learn how to structure yoga sessions aimed specifically at the 5–8 age group. You will also receive a training manual covering the course content and video clips of yoga postures.